Legal with Robin Trupp – Shockwave Therapy: Where’s the Proof? Without a test, the USEF’s new rule on the timing and administration of shockwave therapy is open to a great deal of debate. An examination without technical proof can be questioned, as has been seen in many cases of hypersensitivity which also has no definitive test outside of veterinary examination. The United States Equestrian Federation held its annual meeting in January, and while there were many topics up for debate, there was one in particular that had everyone talking: Shockwave Therapy. Used to assist in the repair and healing of various muscular and structural issues in horses, it can also be used to mask pain. If used to mask pain, Shockwave Therapy may lead to an increased risk of additional harm to the horse and rider. The rule becomes effective December 1, 2014, but there is one considerable hurdle still facing the USEF and competitors. Presently, there is no test to substantiate the recent administering of Shockwave Therapy. While there are several reports of viable tests under development for the determination of Shockwave Therapy use, it is unclear if those tests will be available by the rule’s effective date. During the months leading up to the effective date of this rule, there will be heightened attention on its enforceability. In the case of the shows that take place in Wellington, Florida for approximately 12 weeks, a large sampling of the horses competing are not housed on the show grounds. Under this scenario it is very difficult for a competitor to protest against other competitors who may be utilizing Shockwave Therapy. The next several months will determine if the test is developed and if there is a different mechanism for penalizing an exhibitor who violates this rule. When horses are selected for testing, the appointed veterinarian can use blood and urine samples for drug testing and also has the ability to [physically] examine the horse as well. An examination without technical proof can be questioned, as has been seen in many cases of hypersensitivity, which also has no definitive test outside of veterinary examination. The alternative to testing an animal would be for a third party to file a protest under the USEF’s GR6 protest/charges provision. An exhibitor may see another exhibitor treat a horse with Shockwave Therapy or believe that the horse is being treated. That exhibitor would have to sign a written protest accompanied by the appropriate filing fee. 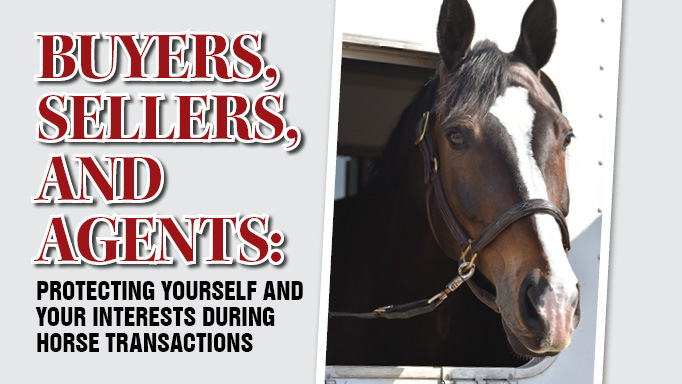 Eventually, if the matter comes before a USEF hearing body, it would be the protestor’s responsibility to prove by proper documentation of evidence that there has been a violation. This burden of proof puts a great deal of responsibility on the protester, as a person performing Shockwave Therapy may go to great lengths to conceal their actions. 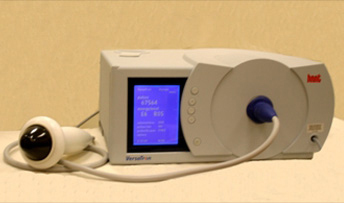 If a test is in fact developed to determine when Shockwave Therapy has been used and the time of its use, the rule could prove very helpful. It is in the best interest of the horses and riders to be sure that this therapy is not masking pain and that the animal can perform correctly. Without a test, the rule is open to a great deal of debate and could pose many issues for the USEF and its members.